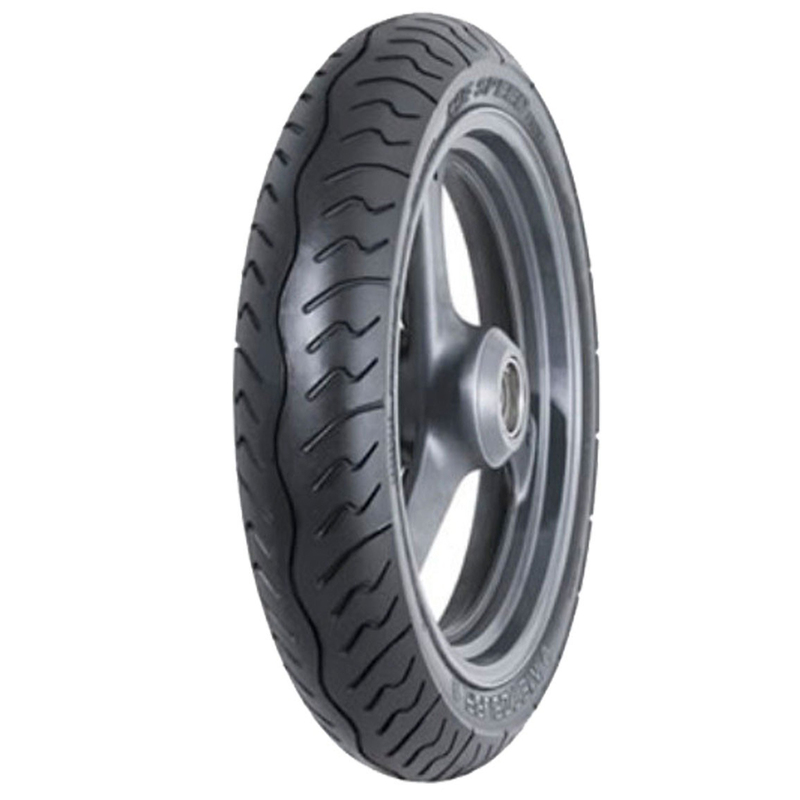 METZELER ME SPEED is a tubeless nylon front two wheeler tyre. ME SPEED is suitable for bikes with tyre size 110/70 17. Its width is 110 mm, profile or aspect ratio is 70% of width and it fits wheels with a rim size of 17 inches. It has a load index of 54Speed rating of this tyre is "H"This Tyre fits in the following bikes: Bajaj Dominar, Benelli TNT, Benelli TNT 25, Benelli TNT R, BMW K1600 GTL, Bonneville, CBR, CBR250 R, Duke, F650, GT, GT250R, Kawasaki Ninja Super Sport, Ninja, RC, Yamaha YZF.